Lauded internationally, Mitsuyoshi's work is able to convey a message relating to any teenager. By revealing the disillusionment of social desires as our titular character suffers, each episode clears a transparent lense to the angsty, youthful soul. Yet, perhaps the sense of fatalism that permeates the series, help imbue an even darker undertone to the story. 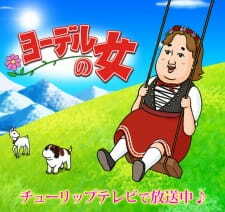 Needless to say, Yodel no Onna is a must-watch for all audiences. Not just for those who are oppressed by teenage angst, looking for the light to their tunnel, but also for adults to reminisce their youthful wonders.